Get a FREE Elmer’s Rainbow Glitter Slime Kit from Walmart after cash back! Valid 7/24 – 8/18. New members only. Once you’ve successfully signed up, you’ll be redirected to the Rainbow Slime Kit Freebie offer page. Click ‘Get Offer Now’. 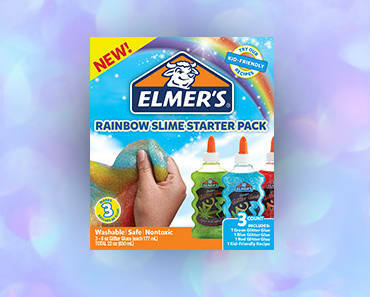 Add at least 1 Elmer’s Rainbow Glitter Glue Slime Starter Pack to your cart and shop as you would normally then checkout. Within 14 days, your account will be credited with your FREE $7.67 in Cash Back!